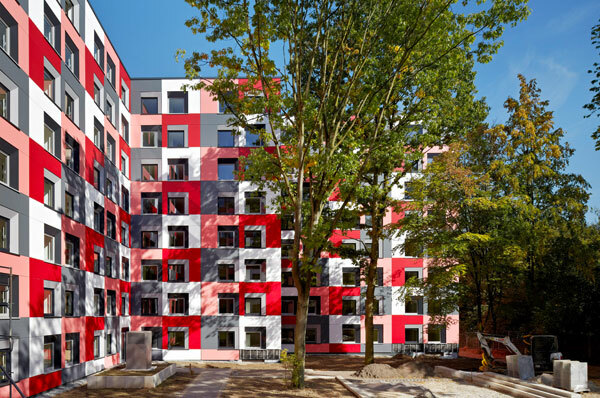 A large apartment building in Essen was earmarked for transformation into a modern student residence. 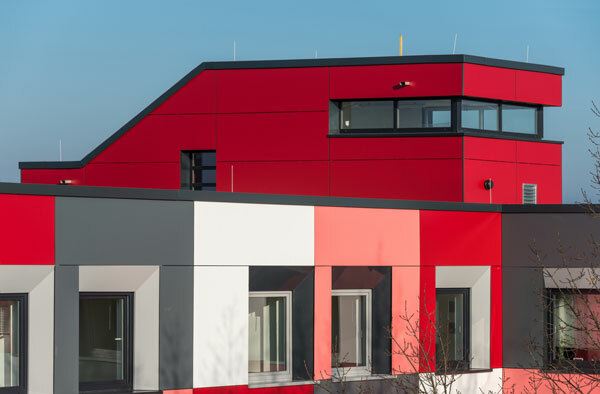 The architects at Architektur Contor Müller Schlüter (ACMS) from Wuppertal, experts in high-quality energy efficiency refurbishments opted for a colored façade using Trespa® Meteon® panels. 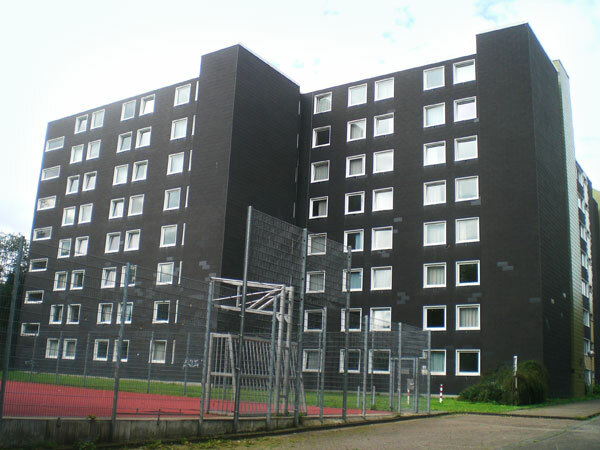 The apartments in the U-shaped 1970s building were merged to create new units, the roof and façades insulated. 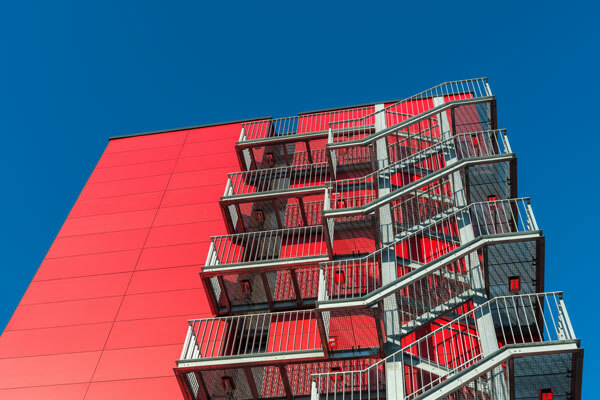 As the structure is located in the direct vicinity of an interstate the windows were equipped with the very latest in sound-proofing technology. Consequently, it made sense to install an air-conditioning and heat-recovery system. 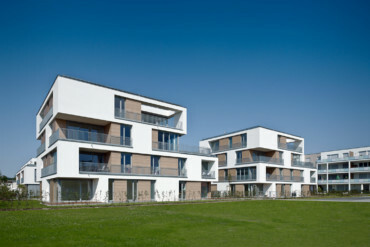 In realizing all these measures the architects sought to achieve energy savings equivalent to the “Effizienzhaus 70” standard. 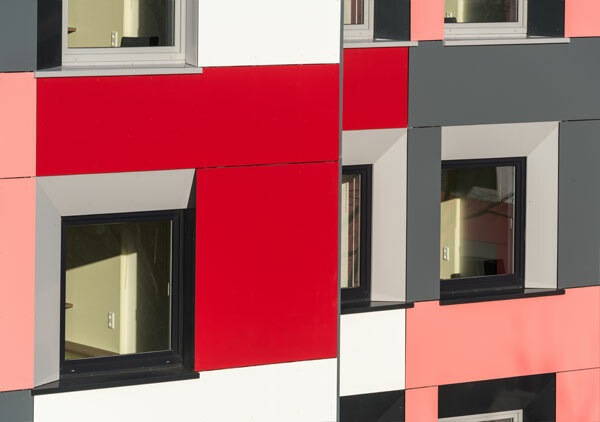 And they succeeded – partly thanks to the new façade of colored Trespa® Meteon® panels. 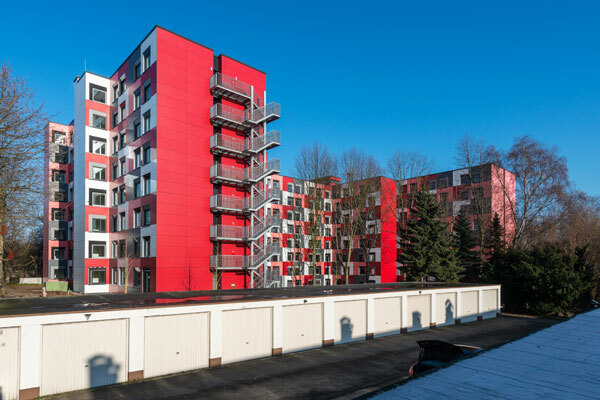 For the insulation a 35-centimeter understructure was implemented in wood and aluminum. 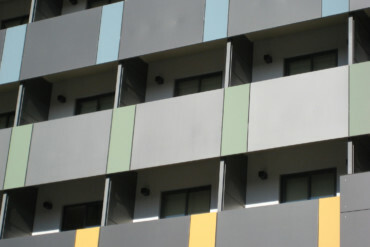 When such insulation is performed, the result may look strange as the windows tend to be shadowed by the reinforced walls and the proportions no longer work. 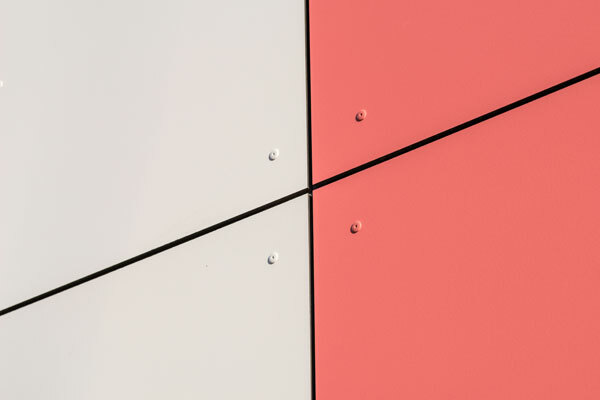 However, the architects avoided this effect by beveling some of the colored window embrasures, producing a modern, attractive façade with clear dimensions. 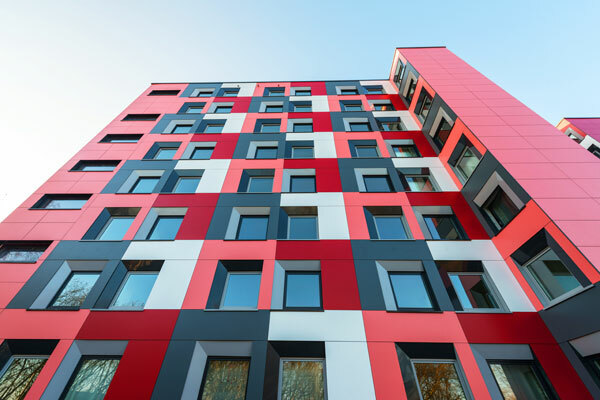 Using the Trespa® Meteon® panels in four different shades, ACMS was able create a varied pattern that breaks up the monotony of what was once a dismal looking façade. 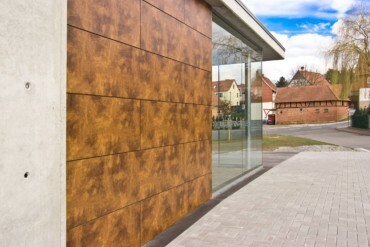 Employing the high-pressure laminate panels in a variety of colors produces individual and expressive effects, something that was successfully realized here.